No, he is not Satoshi Nakamoto. But his name and face tattoo are quickly becoming a mainstay of Bitcoin market. Boxing legend Mike Tyson once again generated hype in the world of cryptocurrency with the launch of a mobile digital wallet named after him. The Mike Tyson Digital Wallet is the newest product that bears Tyson’s name and iconic face tattoo. It is coined as the first mainstream wallet for buying and selling bitcoins, and is already available for iOS, with an Android version to be released soon. 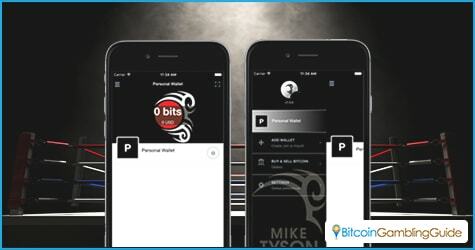 This digital wallet was produced by Bitcoin Direct—the same company behind the Mike Tyson Bitcoin ATM launched in Las Vegas last year—with the help of BitPay, a leading Bitcoin technology developer responsible for CoPay. Users can add wallets through the mobile app and begin sending and receiving bitcoins from anywhere in the world. 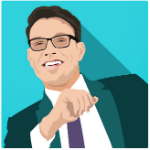 Having A-list celebrities and personalities endorse products is a typical marketing strategy, and this proves useful for Bitcoin Direct. When Mike Tyson’s Bitcoin ATM was announced months ago, people within and outside the cryptocurrency community had their eyes on how the machine would perform in terms of transactions and efficiency. Bitcoin Direct also promised lightning-fast transactions, even quicker than the 30-second knockout record of Mike Tyson. Now that the former professional boxer’s face tattoo will forever be imprinted on Bitcoin ATMs and digital wallets, it is interesting what the Bitcoin market has prepared for Mike Tyson. Crossing over to the thriving Bitcoin gambling sector is another opportunity this year. 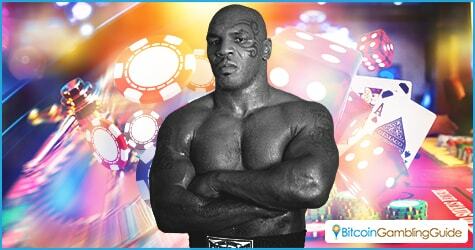 Bitcoin casinos and other gambling sites like poker rooms and sportsbooks continue their market growth coming into 2016, and having an influential personality like Mike Tyson on board would be a perfect match. He could follow the footsteps of another boxing champ, Manny Pacquiao, whose name carries VitalBet, an online sportsbook and casino catering to both real money and Bitcoin. Should this push through, Mike Tyson will definitely be the face of Bitcoin, with products ranging from online gambling sites to a Bitcoin wallet and ATM.